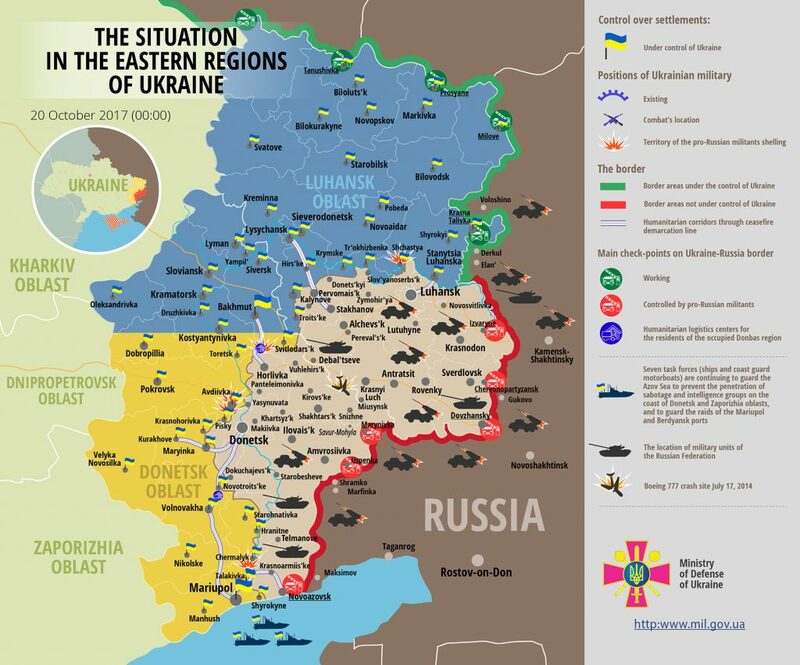 Pro-Russian militants significantly decreased the number of attacks and used no heavy weapons yesterday. “In total, the enemy committed 15 ceasefire violations yesterday. Ukrainian troops returned fire in most cases,” reported Ukrainian Ministry of Defense spokesman on ATO Colonel Andriy Lysenko at a press briefing at Ukraine Crisis Media Center. The largest number of attacks was recorded in Donetsk sector. Russia-backed militants used small arms and grenade launchers against Ukrainian positions near Avdiivka six times. Most attacks were not aimed. Moreover, the enemy used the same arsenal to attack Ukrainian strongholds near Zaitseve, Opytne, and Verkhniotoretske. “Ukrainian troops mostly refrained from returning fire and used only weapons not prohibited under Minsk agreements when hostile actions posed threat to Ukrainian personnel,” said Col. Lysenko. In Mariupol sector, Russia-backed militants conducted five aimed attacks against Ukrainian positions near Vodiane, Talakivka, Hnutove, and Pavlopil using grenade launchers and machine guns. “Ukrainian troops returned fire using mounted grenade launchers, heavy machine guns, and light weapons,” added the spokesman. In Luhansk sector, militants attacked Ukrainian positions near Shchastia in the evening using small arms and under-barrel grenade launchers. Ukrainian troops responded with small arms fire. Fortunately, Ukrainian Armed Forces incurred no casualties yesterday. Report on the military developments as of October 19 is available here. Interactive data on the shelling: chronology shelling chart and the interactive map.